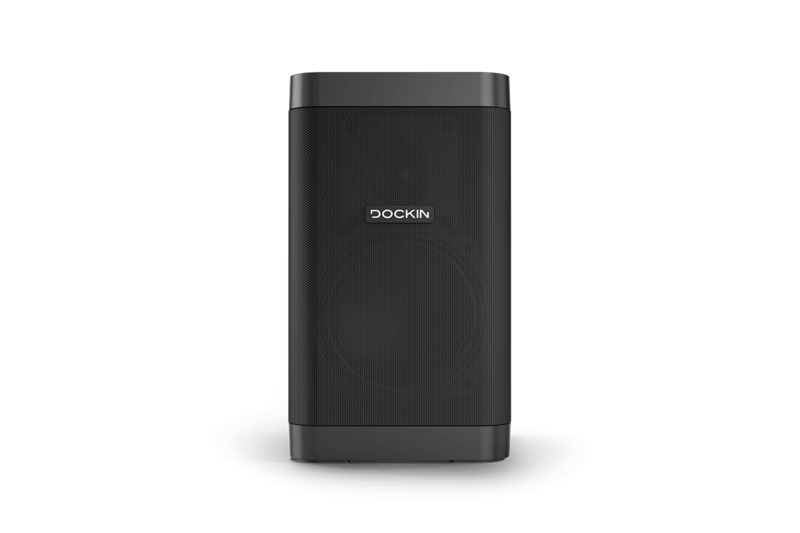 The DOCKIN D CUBE offers great sound in a compact package. The 2-way system features HiFi Crossover and Bluetooth 4.2 with aptX, 12-hour battery life and IP55 protection against dust and splashing water. Thanks to Stereo Link, two D CUBEs can be easily linked to form a stereo pair for even more sound enjoyment. 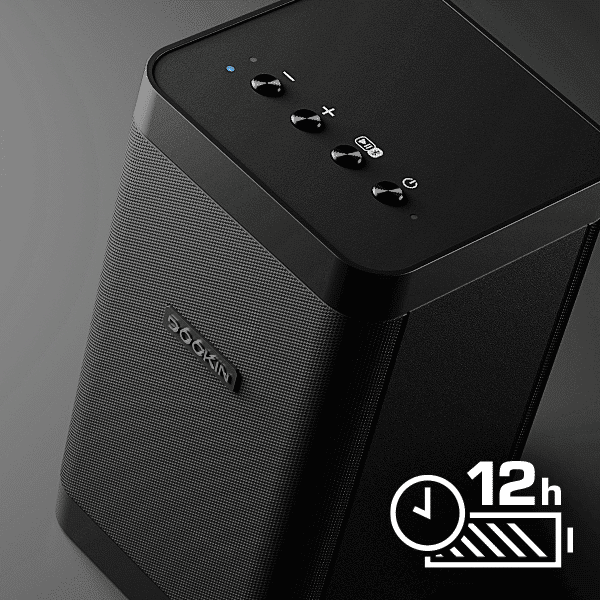 Thanks to a 25 Watt RMS amplifier, high quality crossover drivers and support for Bluetooth 4.2 with aptX, the D CUBE delivers great and room-filling sound despite its small size. 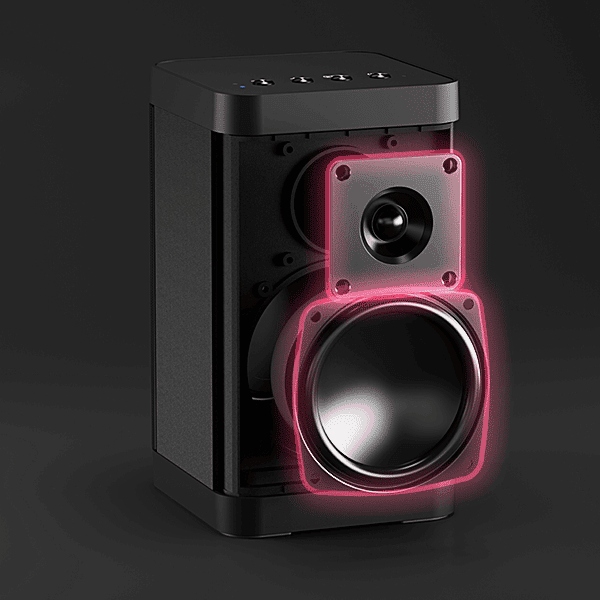 In addition, the speaker offers two sound modes: Balanced and Bass Boost. The D CUBE owes its voluminous sound to a tweeter and a 3 inch woofer. 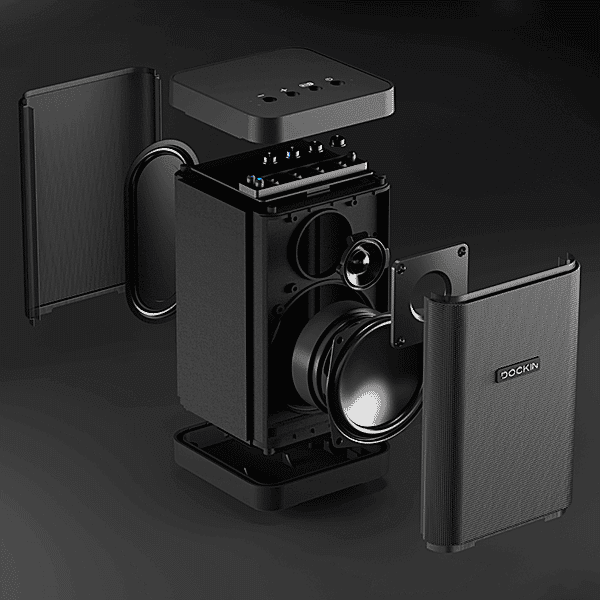 Both are mounted on the front of the compact speaker and are supported by a passive bass radiator on the rear. 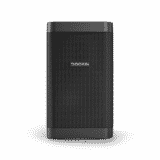 The D CUBE is equipped with a 4,400 mAh rechargeable battery, which allows up to 12 hours of wireless music enjoyment at normal volume. 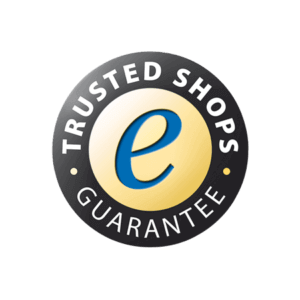 This means that the speaker can be easily moved to another location without having to re-route annoying cables. 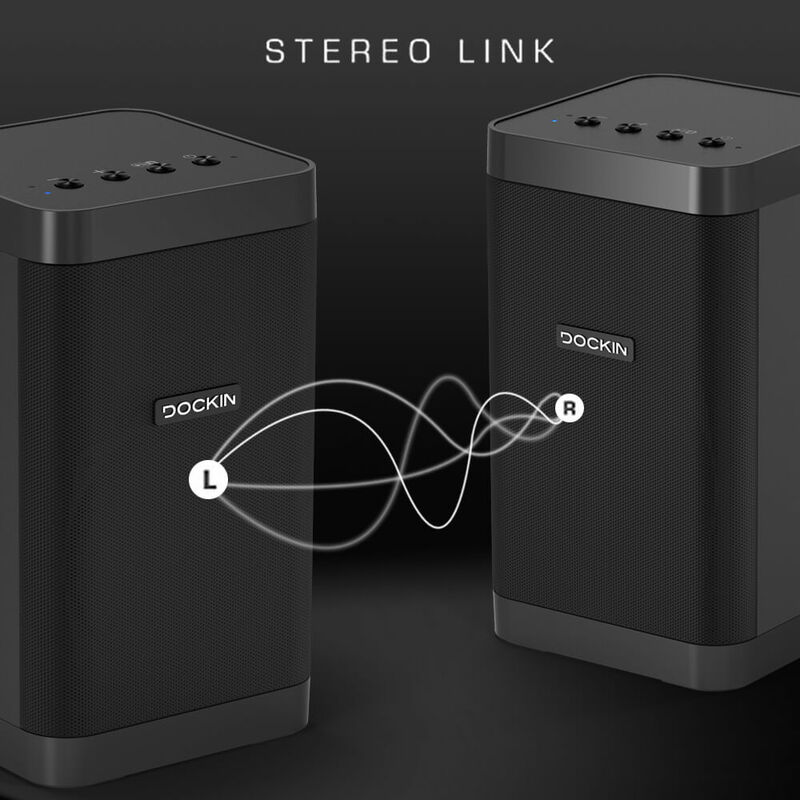 For real listening pleasure with stage effect: Thanks to Stereo Link, two D CUBE can be connected easily to form a stereo pair at the touch of a button and thus become a real alternative to the classic stereo system.